Kucumber Skin Lounge offers an exciting breakthrough method to lose weight rapidly — Medical Weight Loss. Our plan aggressively tackles excess weight with medical oversight, healthy eating plans, and hormonal and nutritional supplements. Change your weight. Change your life. The Medical Weight Loss diet consists of multiple phases. During each, you will eat strictly limited quantities of specific foods at certain times throughout the day. When those foods are combined with hormonal and nutritional supplements, your body undergoes chemical reactions that cause the hypothalamus to release abdominal fat reserves. This release results in dramatic weight loss without the deterioration of important muscle or fat structure. During the Medical Weight Loss diet, you’ll be consuming foods that are high in protein, low in carbohydrates, and rich in fat. Alcohol is excluded, during your first month only. To achieve the most optimal and healthy results, our patients must adhere closely to all the medical recommendations and the customized weight loss plan. Lose up to 20 pounds in one month* It’s medically safe and healthy. Feel your metabolism spike and your vitality rise as you quickly drop weight. Your body will naturally become more contoured with weight loss. Help it along with CoolSculpting®. Your Kucumber specialist will assess your basic medical history and your desired treatment goals. 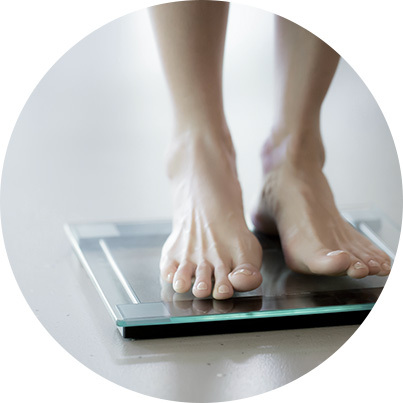 If the assessment determines that you are a good candidate for the Medical Weight Loss diet, you will receive a packet containing an informational booklet, supplies, and the hormonal/vitamin supplement. The packet will include your customized treatment plan with instructions for each day of the process, supplements, dietary information, and additional products that will help you shed your excess pounds. The Medical Weight Loss diet protocol requires daily supplement injections and following a strict low-calorie diet for a period of 30 to 40 days. Our clients generally lose between 0.5 to 1lb per day* and experience decreased hunger as well as increased metabolism. The hormonal supplement ensures no loss of muscle and maintenance of healthy structural fat during the rapid weight loss phase. In addition to weight loss, you’ll also experience a decrease in excess fat and abnormally stored fat. Our Medical Weight Loss program is safe and effective and can have lasting results*, provided that a healthy lifestyle change is incorporated. The experts at Kucumber are ready to assess and advise you on medical weight loss and help you reach your goals for your appearance.